Ausgabe: Songbook. Ed Sheeran. 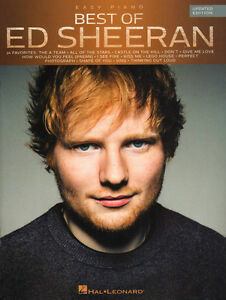 Best of Ed Sheeran (Updated Edition). Seitenzahl: 88 Seiten. All of the Stars. Shape of You. Thinking Out Loud. The A Team.